The Heartsaver First-aid/CPR/AED class covers the following topics: bleeding control, seizures, epi pen use, allergic reactions, snake bites, broken bones, poisoning, CPR for adults, children, and infants, choke-saving, how to use an AED (automated external defibrillators), and other life threatening emergencies. Wear comfortable clothes and remove lipstick and lip gloss before practicing on the CPR manikins. If you have back or knee problems, tell your instructor, and you can practice on a table. Children and non-participants are not allowed in the classroom. 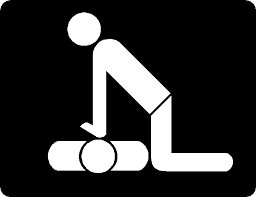 Our AHA instructors are friendly, experienced, and professional and I am sure you will have a fun and stress-free CPR training class. You are required to have the current textbook for this course. If you already own one or have access to one before, during, and after the class, you do not need to purchase one here.